The rugged, genuine Lincoln was idealized by Walt Whitman - the founder of the new school of American poetry. 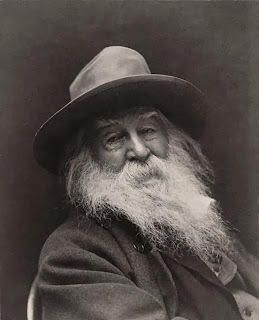 Two of Whitman's finest poems were inspired by Lincoln. O great star disappear’d—O the black murk that hides the star! If thou wast not granted to sing thou would’st surely die). O sane and sacred death. I’ll perfume the grave of him I love. And all the scenes of life and the workshops, and the workmen homeward returning. And ever the far-spreading prairies cover’d with grass and corn. And for love, sweet love—but praise! praise! "If You Have Poison for Me, I Will Drink It"
"Oh! to Be in England Now That April's There"